Our Featured Member series is a way for us to show appreciation and highlight active contributors in our community. Communities thrive on interaction and our Featured Series gives you some insight on some of our most active folks. 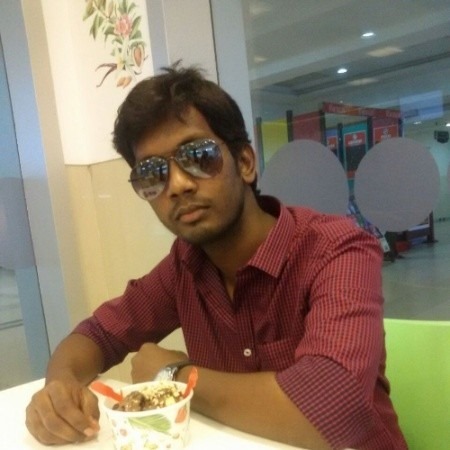 Jai Kumar is a very active contributor on DevCentral and has been for a number of years amassing 4 #DC badges. We’re excited to name Jai as our Featured Member for May. Let’s learn a bit more about Jai. DevCentral: please explain to the DC community a little about yourself, what you do and why it’s important. Jai Kumar: From my childhood (Kid born in 90’s lol), I always thought and was eager to know how Internet and the entire network stuffs worked. That’s how my passion came – “I want to be a network engineer” and here I am a Network Engineer (Still lot to learn). I am Jai Kumar, living in Chennai (India). My close ones call me Jai. Got Married last November and have a loving spouse. Enjoy watching thriller/crime seasons and a big fan of G.O.T, Breaking Bad, Prison Break, Dexter. The list goes on… Now it’s Mr.Robot. An ardent reader of THN and I’m a workaholic!!! I enjoy working for Bank of America providing Engineering and design of traffic management for consumers. This includes global traffic management, application load balancing, traffic routing and advanced health check services. As a team we play a major role in providing architecture and high level design guidance for BOA. As well as oversight of design and engineering services provided by our partners. Work with business to understand future trends and roadmap emerging requirements. DC: You are very active contributor in the DevCentral community. What keeps you involved? DevCentral is a great forum where great minds come to help out others issue. The involvement of every engineer out there to help the fellow F5 mate is what makes special of DC community. And with whatever knowledge I have, I’d love to give back to the community too. JK: I could be the youngest DC member holding less than 5 years of overall IT experience. I specialize in BIG-IP LTM and GTM. I started from the basics as I was in the monitoring team in my 1st year. Happened to learn the metrics that were being monitored on F5 devices, how monitoring works, what action requires to be taken at such scenarios. Then moved to the next device level troubleshooting issues. Did 50 plus device replacements, HDD reseats, cable issues etc. Next comes the design of setups for applications. Over the last 3 years, have been engaging with application owners and creating LB environments. Had attended hands on virtual LAB trainings on BIG-IP ASM and AFM. Never got chance to learn deeper getting involved in real time practice, maybe in future, someday !!! DC: You are a Senior Software Engineer/F5 Engineer at Bank of America. Can you describe your typical workday and how you manage work/life balance? My work life style is simple, Mon – Fri, I have a general shift and a rotational on-call. We have a bunch of great minds in the team. Like every org, we do too have ticketing tools, accept tickets and troubleshoot, build environment for the application team. Get assigned with Projects and also implement changes required from GIS standpoint. Attend technical/management meeting, join TFG/brain storming sessions. I involve myself in helping our Ops team on system level issues, being a primary POC for device level issues within the team. In the background, I see opportunities to automate things wherever I feel I can. Got awarded multiple times for automating. In BOA, we are encouraged to give back to the society, so I do participate in Bank of America Community Volunteering. Enjoying a good work/life balance overall. Maybe blessed or being lucky. JK: One of our F5’s Configuration utility failed to display SSL certificates, same happened when you try to list all certificates through CLI. This really ate lot of my time. Then I happened to learn from F5 articles and DC to enable mcpd to find the actual single cert which was causing this issue. It was containing special chars in the subject. Because of which we were unable to install any of the certs at all. After fixing the particular cert, things got back normal. Later we involved the right teams to let them know to avoid these scenarios in future. But I’m yet to face stronger challenges, after all I’m just 5 years in Industry now. JK: It was always to be a Network Security Engineer. Well during my final year in college, I got 2 job offers for a CORE company (Embedded Systems electronics) and a voice process company. But I had not much of a real interest. So I looked for openings outside and was interviewed by Vodafone Enterprise and got selected. That’s where my carrier started and I’m thankful for that. Thanks Jai! Check out all of Jai’s DevCentral contributions and connect with him on LinkedIn and follow Bank of America on Twitter. If there is a DevCentral member you think should be featured, let us know in the comments section!